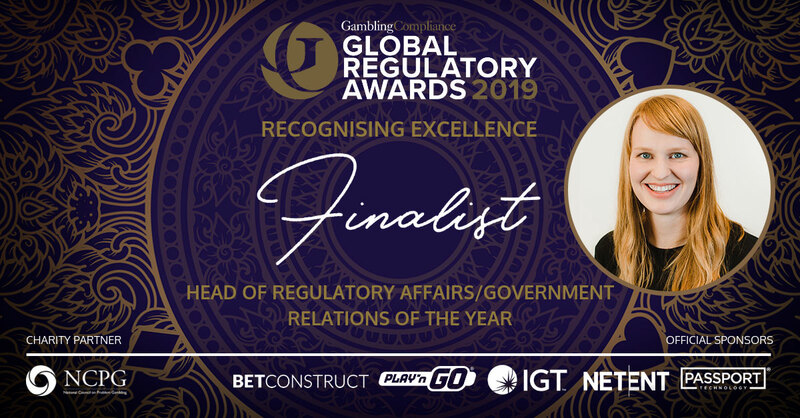 GeoComply’s VP Regulatory Affairs Lindsay Slader has been shortlisted as a finalist for the GamblingCompliance Global Regulatory Awards 2019 in the Head Regulatory Affairs/Government Relations of the Year category. We look forward to celebrating this fantastic achievement at the Global Regulatory Awards ceremony on May 1. Click here to view the full shortlist.